Precision Steamer is a top-rated Gainesville Carpet cleaning company providing steam carpet cleaning, rug cleaning, and upholstery cleaning. We are numerouno among carpet cleaners in Gainesville, and our countless delightful customer reviews are a testimony to this fact. We offer Carpet Cleaning in Gainesville for all kinds of carpets independent of their make, fiber type, size or quality and what we deliver is a floor that looks like it has just been furnished with brand new carpeting. While regular vacuuming and brushing are essential to the carpet’s health, it is no substitute for deep cleaning. Deep cleaning cleans the carpets down to their pads in contrast to just surface cleaning that is possible from vacuuming. Our cleaning method of choice is steam Carpet cleaning, also known as, hot water extraction. 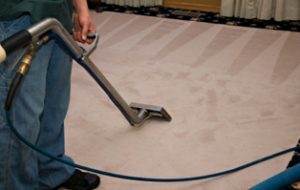 After removing superficially settled dirt and grime, we use our powerful extraction system to remove dirt from within the layers of your carpet. This extent of Carpet cleaning is essential twice a year so as to ensure not just clean floors but also good air quality inside your home. Our customer service is sure to delight you. It’s our deepest desire to do all we can to make each and every one of our jobs flawless. We take all the preparation steps that other cleaners may miss out on to hasten the process. Before we start deep cleaning, we thoroughly vacuum the entire area of the carpet to remove any dirt and grime from the surface. Next, we identify tough spots like stains and discolored patches and pre-treat them before extraction. This way, we remove even the most impossible of stains from your carpets. Another often ignored step that we are exceptionally considerate about is, moving your furniture. We do this very carefully, so your furniture is not harmed in any way and so the carpets can be cleaned in the best manner without any obstacles. For Top-rated Gainesville Carpet Cleaning service, Call Precision Steamer at 352-494-0419. Unclean upholstery is a most revolting sight. And cleaning it on your own may be impossible beyond the basic everyday vacuuming. If your sofa sets and settee covers have begun to look rather dull or have unsightly spots on them, call us to make them new again at a fantastic price. One thing we would like to assure you of is that we take good care of your upholstery while we clean and shine it. Even your most delicate sofa fabric is safe in our hands. We do a fabric test before we start with any procedures, in order to understand how best to clean it without harming its fibers. All the pre-cleaning steps like vacuuming, brushing and pre-treatment of difficult spots is well taken care of; and so are the post-cleaning steps that bring about a nicely groomed appearance in your furniture. Tiles and grouts are permeable surfaces and over time lose their good looks and even hygiene factor due to the accumulation of dirt. These are impossible to clean however hard you try and professional service is what every home requires at regular intervals. 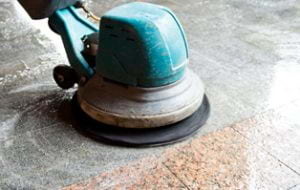 At Precision Steamer Tile/Grout Cleaning Gainesville, we use the most precise technique and the highest quality cleaning potions to clean your tile and grout surfaces – both floors and walls. After a cleanup by our team, your tiles will look magically reformed into something fresh and shiny. Rugs are precious items and need special everyday care for a good appearance over the long run. In addition, a professional cleaning service every few years is a necessity for rug maintenance. If you miss out on it, your rug would lose luster and fabric strength. At Precision Steamer, we have years of experience in cleaning all types of rugs. Our service is beyond doubt the best in the segment. You can rely on us to get your rugs all fresh and shiny without any risk of damage to their delicate fibers. 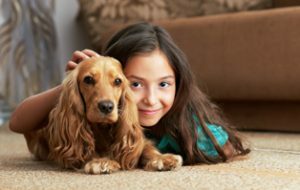 Removing pet stains may be a difficult task even for seasoned carpet cleaners in Gainesville, but we do it with utmost perfection. If you want to completely forget about that pet accident and make your floors like it never happened, we are your buddy to call. Cleaning pet stains and odors are not only necessary for keeping your home well groomed and inviting but also helps train your pet to not repeat its ‘action’. 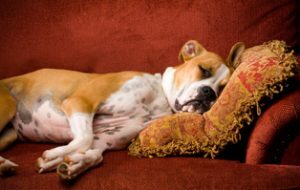 A stained and smelly area will encourage your pet to use it over and over again to relieve itself – and that’s certainly not what you want – so clean the spot as soon as you can! Give Us Precision Steamer – Carpet Cleaning Gainesville, a Call! Call us at (352) 559-6042 to fix an appointment for Carpet Cleaning Gainesville, FL or any of these home cleaning services in Gainesville and our team will be at your doorstep well on time and well-equipped. At Precision Steamer, our endeavor is to give you the best possible Gainesville Carpet Cleaning job with the least disruption to your routine. Our work is exceptionally efficient – we deliver terrific results in a relatively short turnaround time. Try us and you’ll end up never going back to any of the cleaning services you may have previously associated with! Top Rated Carpet Cleaner in Gainesville!